72,699 memories shared so far! Enjoy the community! This is the 3rd of 8 Athelney photos. Send this Photo as a Free E-Card. Save Photo as a Favourite. 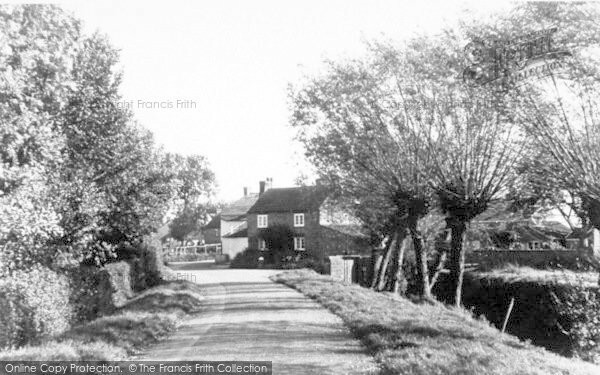 Buy "Athelney, The Village c.1960" Available as a print, mounted, framed, or on canvas. Available in a wide variety of sizes, along with many options, we'll have the finish you want and if not - please ask, we make everything to order and can offer a fully bespoke service, if required. If you want this photo, archivally printed in rich B&W or in a subtle sepia tone, this is for you. Don't overlook the fact we offer mounted and framed versions too! Available in a wide choice of styles, sizes but all sharing one thing - quality. If you want a gift to impress or something to adorn your walls, a framed print is for you. Mounted prints are ideal if you want to get a professional framer to match your own decor, or want to give a great gift but unsure of the recipient's own style or taste. Available from 16"x10" up to a wall-filling 60"x38", canvas prints make a real impact and bring the photo you choose to life. Bespoke sizes available upon request. Printed in either rich black & white or our subtle sepia tone and in 5 different sizes, canvas prints look great anywhere! Also available framed in black or light oak. 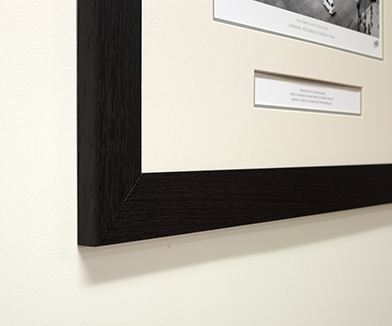 As our unframed canvas prints, but professionally framed in either black or light oak. These products really are in a class of their own and are absolutely stunning. If you want to give a gift with real significance, that will be treasured for years to come, then have this photo framed - with a personal inscription to commemorate the day and event! You have a maximum of three lines and 200 characters to use for your own message. This message always appears in addition to the title on a print. Now available as stunning, custom-printed window blinds in a choice of materials. Printed and made-to-measure just for you, this is what your windows have been waiting for! 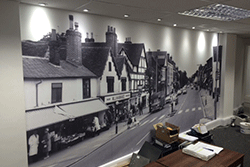 Transform a wall and travel back in time with one of our photos printed directly onto wallpaper. Supplied in rolls with all instructions and available in any width from 500mm. 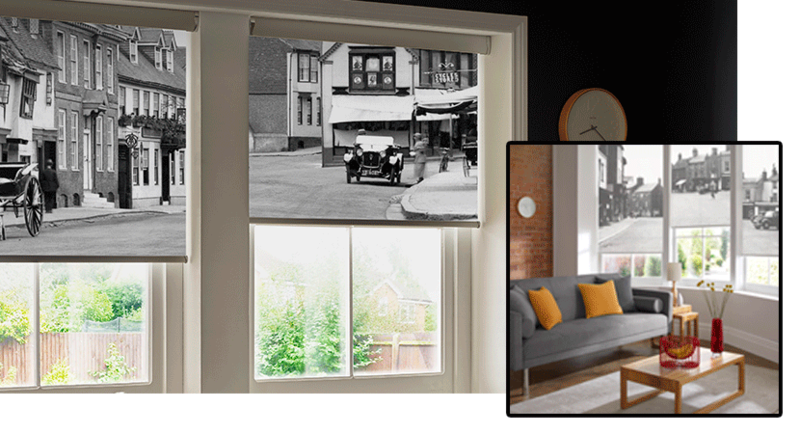 Frith photos are now available printed direct onto made-to-measure window blinds and available in either a semi-transparent or blackout fabric finish and fully customisable to fit your window and decor at home. The quality of most Frith photos is so good they can be enlarged to create wall sized enlargements! A wall filled with a single photograph has enormous impact and it's easy to achieve. Use this photo in a personalised calendar. Choose a start month, add personal messages to each month. Make the drying up more enjoyable by having this photo printed on a British-made, high quality, 100% cotton tea towel! Use this photo in a high-quality personalised nostalgic 500-piece jigsaw. Offered in a range of values, Gift Cards make ideal presents. Sent by email or by post. Design your own unique calendar. Choose a different photo and add a personal message for each month, starting on any month you wish. You can't get more personal than that! All our photos are printed as optimised versions of their originals, this process can take anything from 15 minutes to several hours. This ensures that the product you get shows the true quality that Frith photos are renowned for. We've put together a document explaining in depth what has happened to your photograph prior to it being dispatched. If you want to read more information about this subject, please click here.